My 2 year bloggerversary is coming up in Dec :D So the giveaways will keep on coming! 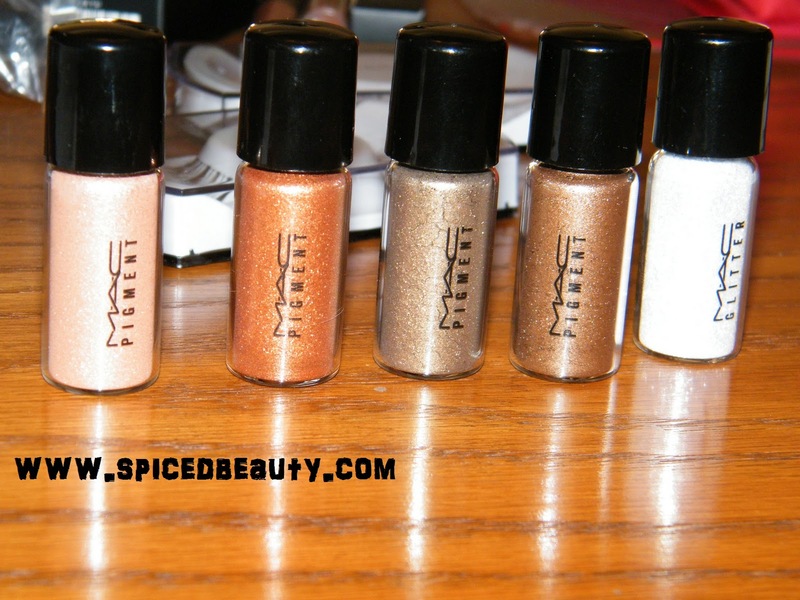 You can win 3 brand new limited edition MAC products! * This an INTERNATIONAL contest! * Don`t forget to press submit to make sure your info goes through! 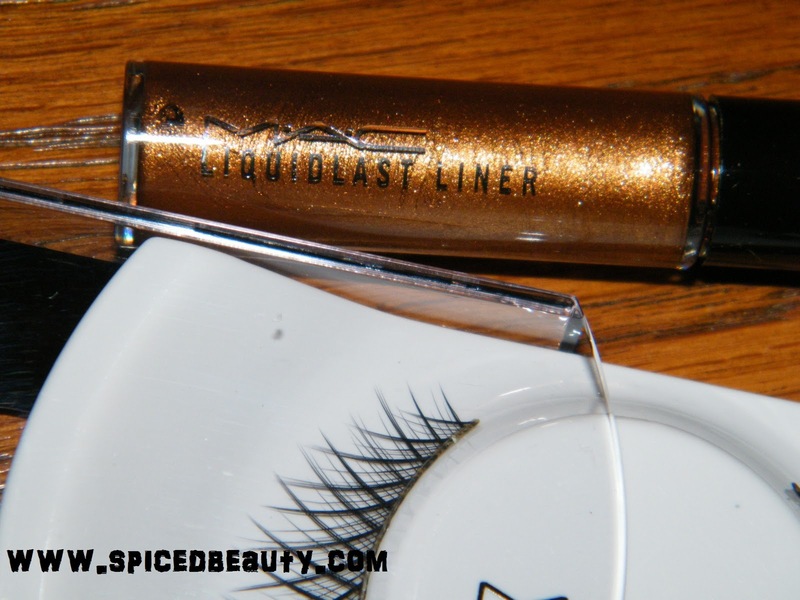 How I get long luscious lashes! What is your favorite mascara? Ever since I was 13 years old I was obsessed with lashes. I got my free AVON mascara and never turned back! I have to add that after 12 years of mascara wearing I still have healthy, full & curly lashes that I'm not embarrassed to sport with without mascara as well. I personally like layering my mascaras. It's a process that starts off with a light coat of a lengthening mascara. 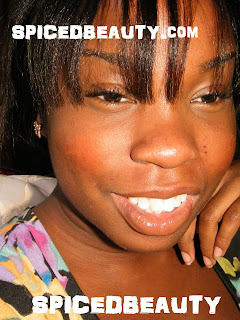 My current choice is CARGO 3 Triple Action Mascara as a base coat. I let it try fully then I apply two coats of Marcelle Power Volume Mascara. 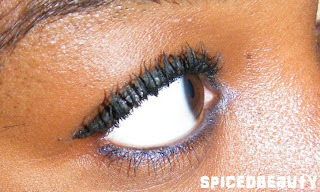 Lastly finish off with CARGO 3 Triple Action Mascara on the tips. It's a tedious process but I achieve lashes that look exactly like falsies! So my question for you is do you layer your mascaras? The Marcelle Mascara was sent to spiced beauty for review purposes. I wont the Cargo mascara in a contest. This November 5,6 & 7 is the The National Women's show. The ultimate girl’s day out! Shop ‘til you drop at over 450 exhibits and find everything from food and wine sampling, fashion shows, celebrity guests, free makeovers, health, wellness & beauty secrets, cooking demos, home renovation advice and travel ideas! The show is divided into the following zones: Fashion & Style District, Beauty & Wellness, Fitness, Travel & Leisure, World Of Taste and the Business & Career Centre. 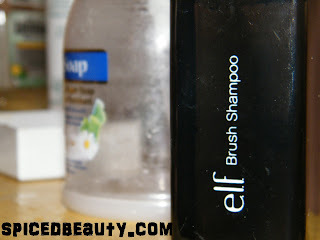 During one of my trips to Winners I found the E.L.F Brush Shampoo for $2.00! So I had to try it out on my brushes. An anti-bacterial brush cleanser for thorough cleaning in-between makeup applications. 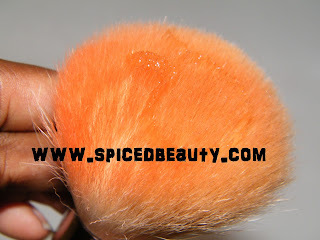 Disinfects brushes to provide a fresh and clean application every time. Washes away traces of dirt, makeup, oil and debris from your brush while conditioning the hair to provide a clean and soft application for every use. I decided to use one of my orange stained blush brushes. It is soo hard to clean white bristles if you don`t have the right tools. 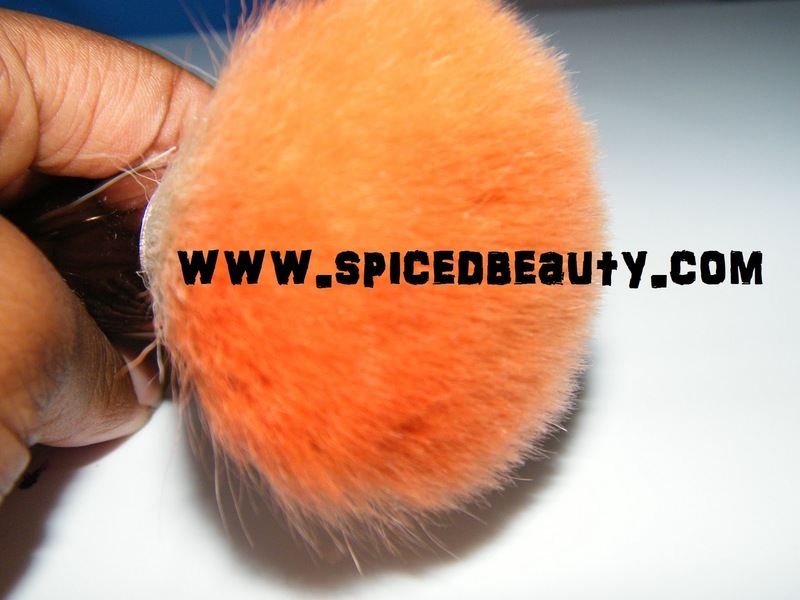 Cleanse brush regularly by massaging a small amount of the shampoo with water and working it through the bristle from the base of the brush outward. Rinse thoroughly and gently squeeze out excess water. Reshape the bristles and lay flat on a clean cloth to fully dry before next use. WOW!!! The brush is really clean. Honestly it looks better than how it was when I used my QUO brush cleaner. As promised here are some pictures with my bangs and FOTD. One of the first looks I learned in school was in "no make up make up look". I swear in class I always thought I would never use it.. but visit your favorite store and you will see a least one poster with a fresh faced model. 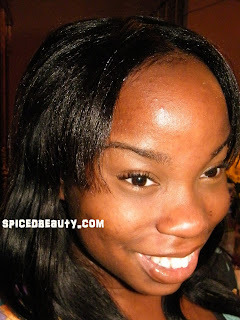 My teacher told me that if you can prefect this look, you can build a whole career on it! ***You can also wear foundation if you want a flawless base, I chose not too"
How do you feel about the No Make up Make up look? I did it yesterday! I'm so happy I decided to try something new :) Also I think the cut makes my hair look much more shiny and healthy! I didn't show my face because I did a no make up FOTD which I will post tomorrow. Phyrra's Indie Spotlight for October is with Amy of Sugarpill Cosmetics! 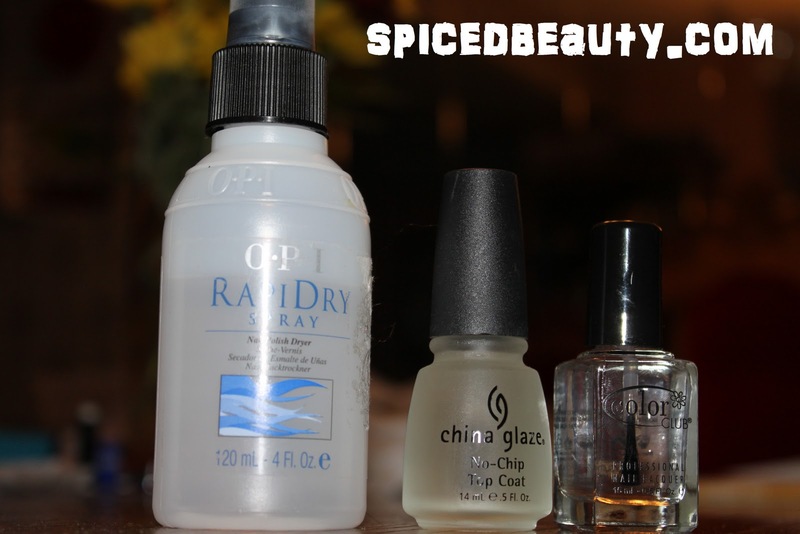 Check out this great Splurge vs Steal over at Prime Beauty. Cindy did a look with both palettes--can you guess which is which? Sophie shows her amazing Sleek Makeup prize package that she won, lots of goodies included!!! My Lips But Better swatches MAC's upcoming holiday collection, A Tartan Tale. Lisamarie from Beauty Crazed checks out new products from Olay Regenerist and wonders if they will be as popular as the last one! Sarah from IHeartCosmetics shows swatches of her collection of Korres Colour Cherry Oil Lipgloss. The Lip Print discovers a cheap and cheerful treat for shoppers on a budget. Eyelining has a look at a rather pretty multitasking marvel from Rituals. Amy Antoinette organises her makeup collection and showcases her new dressing table. Has Emma finally found her HG foundation? 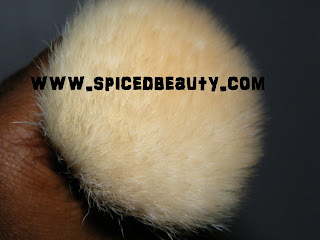 Head over to BirdsDecorateBranches to see if YSL Teint Resist might just be yours too! Pink Diva's Beauty Spot loves all of the pink beauty products for Breast Cancer Research month. Check out some of her favourites. 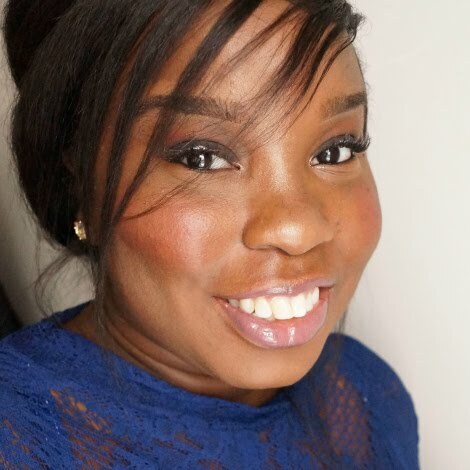 Retrodiva checks out Annemarie Borlind to see if going natural is possible with oily and breakout prone skin. TheGlossGoss reviews her Haus Of Gloi haul. Halloween themed products -- perfect for the Autumn season! 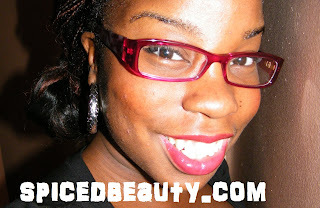 theNotice takes an early look at Clinique's Strawberry Fudge Holiday 2010 collection (yes, with swatches) and loves it! Good bye Neutrals, Hello Drama! 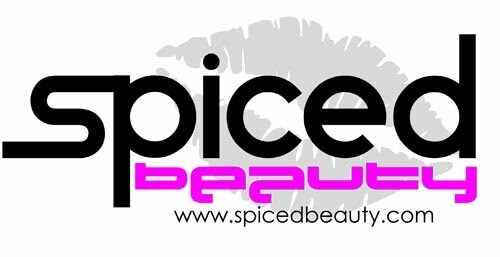 Jenn spices it up over at Spiced Beauty. Jeweled Thumb shows evidence that makeup is magic! Pink Sith says you can't put a price on FEELING pretty. 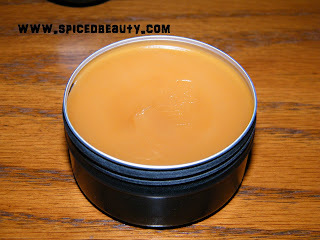 Come find out why she thing Guerlain Meteorites Voyage Compact is the bee's knees! Are you made for 'Fire and Ice'? Over at The Glamorous Gleam, Mz. More compares the legendary Revlon Super Lustrous Lipstick in Fire and Ice to other red lipsticks in her collection. 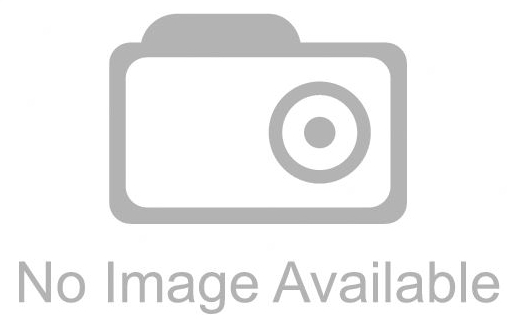 Mein link: Win a basket full of beauty products from Boot's on Beauty Woo Me. Daily Polish celebrates reaching the 1 year mark of daily posts of new polishes and manicures with a giveaway where the first prize is worth over £200! Jellyminx has a spooky giveaway, enter before it closes on Halloween!! 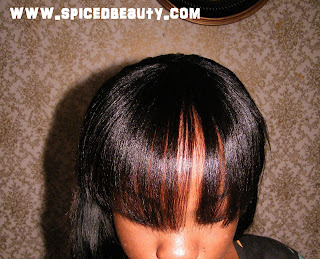 Forgive me I can't remember who it was but they asked me about these products on WOC. These were both great buys and as I said in my previous post this collection was worth getting! Is this a lipglass that you would purchase? I won a amazing twitter giveaway from makeupbyrenren. Other than the foundations which will be going into my kit.. what do you want to see swatches or HD pictures of? I'm SUPER excited to be at 600 followers. I just want to say thank you and hello to my new followers! 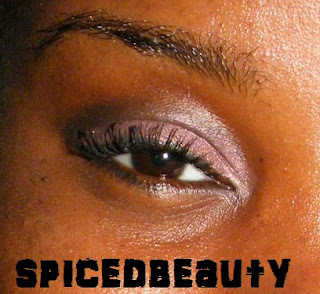 As I always I am open to suggestions an tips on how to make Spicedbeauty better. P.s I have a small giveaway in the works for you all coming up! I'm sooo behind on this haul! Last month I got the opportunity to attend the MAC Warehouse Sale with another blogger. I kept my haul simple :) I only bought a few items for myself, a few bloggers & most importantly my 2 yr bloggerversary(in Dec). 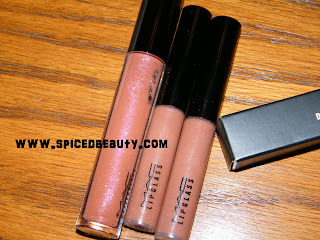 MAC Dazzleglass in Roman Holiday & 2 lipglass in Stealing Kisses. 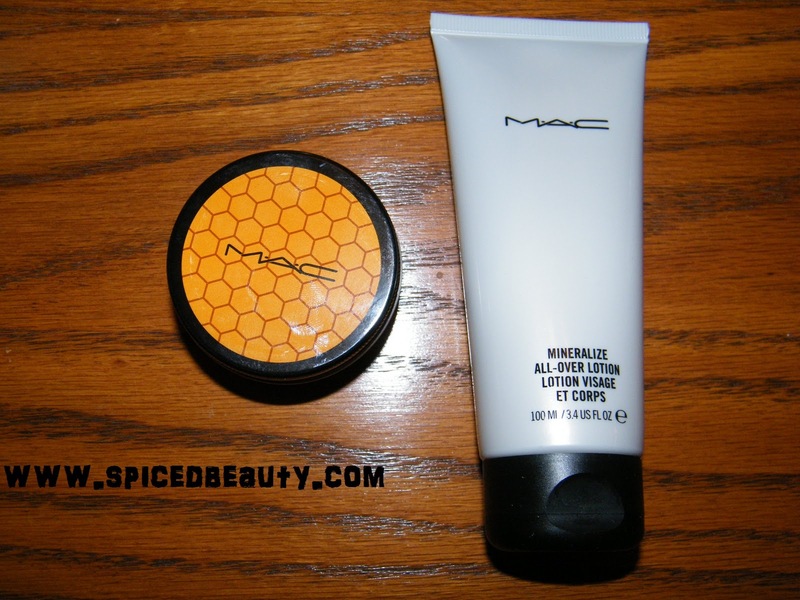 I've heard something about rave reviews about MAC Honey Salive, so I had to get one. This product is light and perfect for giving instant moisture! I also got MAC Mineralized All over lotion. I have 4.. This is a great lotion to keep in your car & office. Light scent and not greasy. I got the holiday pigment set. I also got some lashes & Highlight powders which I forgot to take pictures of. 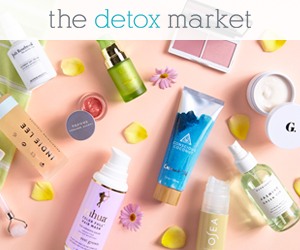 What product from my haul would you like to try *wink*? They look gorgeous! 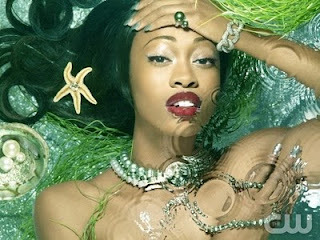 I seriously wish that ANTM told us what colors they use. This is my second look I've done with Fusion of Color pigments. FOC mineral powder is made of natural minerals with natural healing properties that beautify and protect your skin. This is the only mineral make up brand I use because of there pigmentation and color selection. I called this look Wannabe Drama Queen because I always wear neutral looks and this is very different for me..lol. Off topic: I really like how this picture came out. 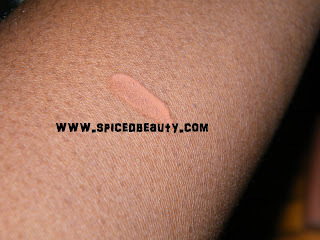 Disclaimer: These samples where provided to me by Fusion of Color. My new easy look is quite simple! 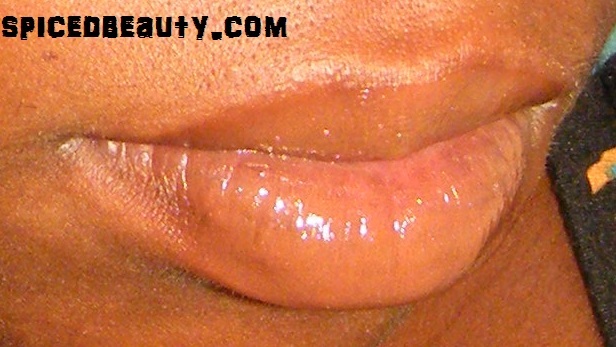 I would explain it as neutral with a kick :) The kick is colored liner.. I work early like 8:00am so days when I feel like wearing makeup,I need a effortless look which requires no touch up. I used a black eye liner to create a winged tip on my upper lid. Personally for weekdays I feel liquid liner is the best. It's quick and USUALLY can be done without mess. 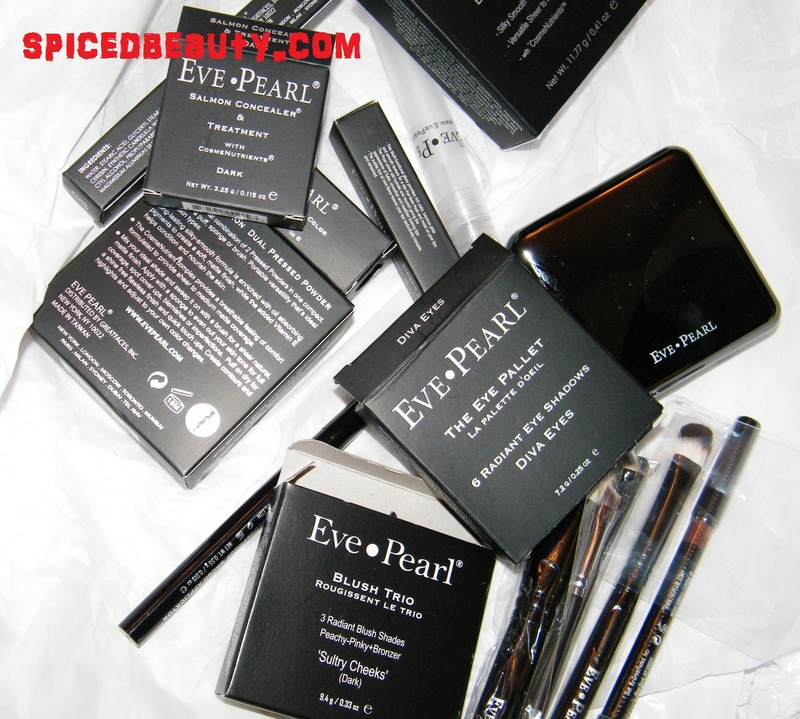 My favorite picks are Revlon Colorstay Liquid Eyeliner & Eve Pearl Smudgeproof eyeliner. Then I follow up with 2-3 coats of mascara. Sometimes I mix Mascara because I like the combined look. My favorites are Cargo triple action mascara & the new Marcelle Masacara. 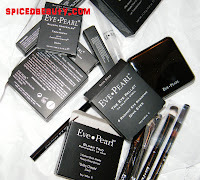 On my bottom lid I use MAC Rave pearlglide eyeliner in Rave. I love this purple!! The staying power is amazing. Sometimes I add white eyeliner to my waterline depending on how much time I have. 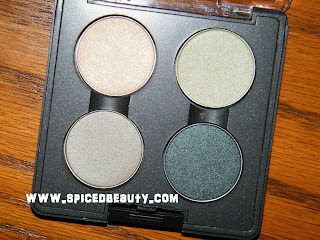 To finish it off I always highlight my inner corners using Smashbox Eyebeam double extender brightener. This is amazing.. I haven't had to buy anything else after this.